Using only state-of-the-art technology, we guarantee this treatment will exceed your expectations. This service is highly customizable so that each client can achieve their desired results without compromise. RECOMENDED: One week prior to your lip procedure it is recommended that you exfoliate and moisturize your lips to ensure uniform pigment application and retention. 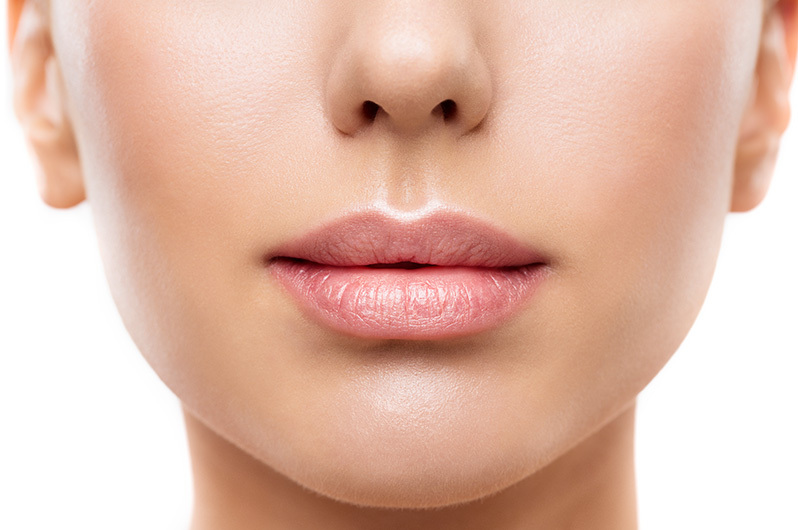 This semi-permanent lip procedure will give you the appearance of fuller lips. This is accomplished by blending one or two colors into your natural lip color to create the illusion of volume. Things to consider prior to getting your lips done. First, while the procedure will create the look of volume, we will never deviate from your natural lip line due to the high probability of unsatisfactory results. Second, the more natural the color, the more frequent you will need or want a touch up. It is recommended that we choose a pigment at least two shades darker than your current lip color. Lips after 6 months $275.00 Once you are a client of Derma-hue your procedure will always be half off after 6 months.